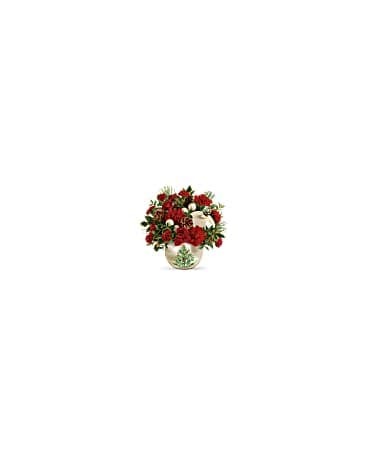 Radiant red roses and Christmas holly look even more festive hand-arranged in this stunning, shimmering pearl ornament! 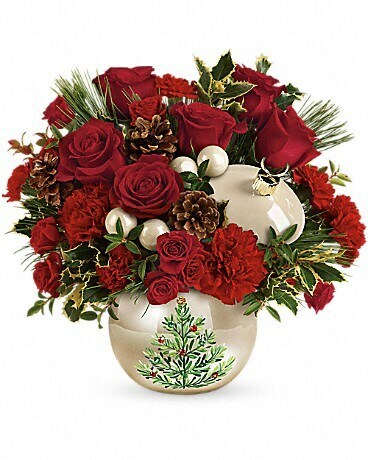 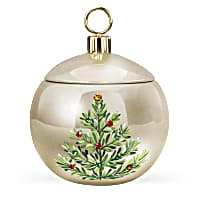 This classic, pearl ornament jar with rhinestone details is an exclusive keepsake from Teleflora's Flowers-in-a-Gift collection. 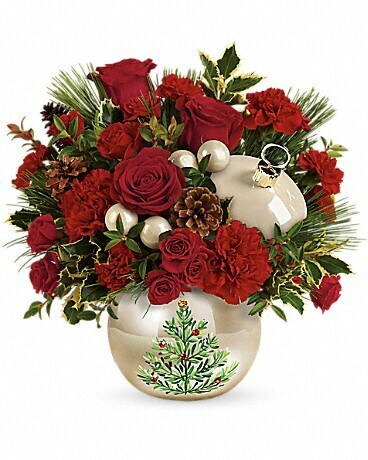 Add beauty to the holiday with this gorgeous collectible!